Description: Knock out each brick of LEGO with your ball and upgrade your bat with special gems you discover on your journey. Pick up powerful power-ups to unlock the multiball or brick blaster but beware the ones that will shrink or slow down your bat. You’ll need all the help you can get when you finally take on the evil king and his heartless minions. No one said saving the kingdom would be easy! 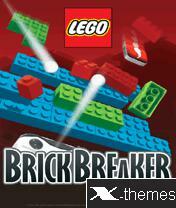 # Unique brick bashing gameplay as you free the people of Loge World from evil. # Explore four huge worlds filled with mystery and secrets - from the desert to the arctic. # Choose your own way through the game - will you take the quickest path or search for hidden treause chests? # Use all your skills and abilities to battle the fearsome evil king. # Pick up special powers up for extra bats and even a gun to shoot spare bricks. # Amazing graphics and simple controls bring Lego World alive on your mobile.